Working out microtransaction details might pave the way for real world currency trading over the PlayStation Network. So far, microtransactions haven't really invaded console game titles. Sure, you can purchase stuff for your Xbox avatar or for PlayStation Home, but buying specific items and outfits for characters in game have generally been relegated to MMOs on PCs. That will change when CCP's Dust 514 releases on the Sony platform because of how it interacts with the massive and completely player-run economy of EVE Online. CEO Hilmar PÃ©tursson is busy negotiating how exactly Sony can work on blending accounts between PC players of EVE and console players of the FPS spinoff Dust 514. The culmination of these deals may just change how PlayStation works forever. "[Sony] hasn't done anything like this before. We're having many meetings with them to ensure they have solid policies on virtual currency," said PÃ©tursson. "Given the amount of back and forth there, we can definitely see us breaking new ground." "These meetings with Sony have been fantastic. 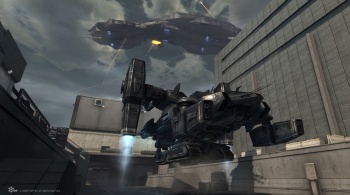 We are both trailblazing together," newly hired David Reid to head up marketing Dust 514. "CCP and Sony are right there in the same room figuring all this out together." CCP is really attempting to make both games feel like part of a whole. "I would rather think of Dust as an integrated experience with Eve," PÃ©tursson said. "There are so many people who are naturally intimidated by getting started on Eve, and that's what Dust is for. It allows people to participate in this massive world by just picking up a controller." From what I've heard, the confluence between these two games will not only change the way PlayStation Network works, but all possible interactions between games set in the same universe. I'm glad that CCP continues to set the bar high for innovation in its games. Also, maybe Dust will be the thing that finally gets me earning isk when it launches this year on the PS3.